How to unlock Samsung Galaxy Grand Prime Plus by code ? Unlocking Samsung Galaxy Grand Prime Plus by code is the easiest and fastest way to make your device network free. It doesn't interfere in your system or change it in any way so even after using our code, you don't loose your warranty. In order to receive a network unlock code for your Samsung Galaxy Grand Prime Plus you need to provide IMEI number (15 digits unique number). It can be found by dialing *#06# as a phone number, as well as by checking in the phone settings of your device. Depending on the information you have about your Galaxy Grand Prime Plus. You can use a service based on the country or continent from which it comes from. For your Samsung Galaxy Grand Prime Plus you can use the following services: Europe, USA, Canada, South America, United Kingdom, Ireland and many more. All new Samsung Galaxy Grand Prime Plus coming from T-Mobile USA or Metro Pcs USA with "Device Unlock App" can be unlocked by a Device Unlock App service. For unlock Samsung Galaxy Grand Prime Plus following options are available. If you don't know which option use for unlock your phone, please contact us. We will help you choose the right product for your phone. Excelente servicio, muy rapido y totalmente funcional, me entregaron el código de liberacion en máximo un día, totalmente recomendado para los equipos Samsung Galaxy Grand Prime Plus. 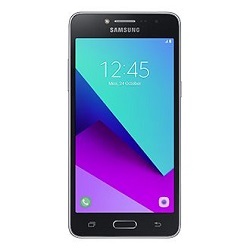 Unlocking instruction for Samsung Galaxy Grand Prime Plus ? Entering the unlock code in a Samsung Galaxy Grand Prime Plus is very simple. 3. Samsung Galaxy Grand Prime Plus is now network unlocked !!! NCK, MCK or SPCK for Samsung Galaxy Grand Prime Plus ? In order to unlock Samsung Galaxy Grand Prime Plus network blockade, you need a NCK (network) code. If the code counter is blocked, you will need MCK (unfreeze) code as well to reset the code counter. If Samsung Galaxy Grand Prime Plus has a blockade for a subnetwork like Tesco or Virgin you need to use a SPCK (service provider) code. What is a Samsung Galaxy Grand Prime Plus network lock? It means that the Samsung Galaxy Grand Prime Plus can only receive signal from one network. If you insert a simcard from a different network, the device will ask for an unlock code, or will show the message that this simcard doesn't work. Phone freeze is a result of the incorrect code being inputted too many times, which means your Samsung Galaxy Grand Prime Plus is Hardlocked. You will require a Defreeze (MCK) code and a NCK code to unlock your phone. There are different types of unlock codes for your Samsung Galaxy Grand Prime Plus. One of them is called unfreeze code, which is used to reset the code counter in your device. Samsung Galaxy Grand Prime Plus usually have 3 TRIES to enter the unlock code. The biggest problem is that the phone doesn't show the code counter and there is no way to check. If you want to unlock a Samsung Galaxy Grand Prime Plus with a blocked code counter, you need the unfreeze code. The code can also be used to remove a regional blokade if you want to travel to different countries. Excelente servicio y muy ágil. Una vez completado el pago en menos de 1 hora me llegó el código. Primera vez que pruebo está página, y creo que volveré ya que en otras el tiempo de espera es mucho más largo. Recomendable en su totalidad. buen servicio, exitoso, un poco tardado en dias, pero dentro de lo prometido. Desesperado que es uno por tener respuestas prontas, pero cumplieron el periodo prometido. Excelente servicio muy confiable y rápido, recibí mi código de liberación en el tiempo indicado y pude liberar mi teléfono rápido y fácil. Saludos desde Morelos, México. Muchas Gracias. Excelente servicio rápido, económico y eficaz. Libere un Samsung grand prime plus y en 1 día laboral me otorgaron mi código de desbloqueo.